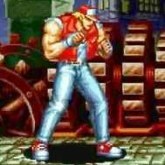 Description: Fatal Fury 2 arcade version was my personal favorite in this series. Terry Bogard and Joe Higashi are beasts to play as. Similar move sets to Street Fighter, where you can throw fire balls and spin kicks at your opponents. Fighters around the globe are competing in this tournament to prove whos the best. The gameplay is a bit more simple and slower compared to KOF games, but this is still a worthy fighter, to say the least.